We pride ourselves on long lasting relationships with our customers, an excellent safety record, polite and professional staff, competitive pricing, prompt and reliable service, and our integrity within the community. Our company believes that all of our customers have unique and individual needs; no two locations are the same. We want to develop that strong and long lasting relationship with you and your family in order to satisfy all of those individual requirements. Schrader Propane is the local company you can trust, and the only one that can provide the excellent service that everybody deserves. Give one of our locations a call today and see what we can offer. Perry, Clay and Casey Schrader. From our Fort Collins location we currently service the following in Larimer and Weld County: Ault, Bellvue, Berthoud, Carr, Drake, Eaton, Fort Collins, Galeton, Johnstown, LaPorte, Livermore, Loveland, Masonville, Nunn, Pierce, Severance, Wellington, Windsor, and surrounding areas. From our Steamboat Springs location we currently service the following in Routt County: Clark, Hahns Peak, Hayden, Milner, Oak Creek, Phippsburg, Stagecoach, Steamboat, Toponas, Yampa, and surrounding areas. Welcome to Schrader Propane’s new website, thanks for visiting! 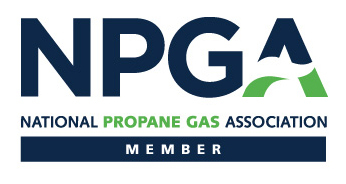 In this section we will periodically post news about the propane industry as well as other tidbits about Schrader Propane’s company. Don’t forget to check in often to hear the latest.